SCAPEGOAT SERVICE – WHOLE TEAM – WHOLE REWARD: SCAPEGOAT IS A LEGITIMATE SIN REMOVAL AND SIN DISPOSAL SERVICE THAT IS CURRENTLY OFFERED ONLY TO WHOLE TEAM MEMBERS AS A WHOLE REWARD OF THEIR WHOLE LABOR. ScapeGoat Service is a legitimate Sin Removal and Sin Disposal Service that is currently offered only to Whole Team Members as a Whole Reward for their Whole Labor. Scapegoating is the practice of singling out an employee or the member of a group for unmerited negative treatment or blame. I fully condemn the unjust and unfair practice that is popularly known as “Scapegoating.” In Hebrew tradition, ‘ScapeGoat’ is a specially chosen he-goat over the head of which the ‘High-Priest’ of the ancient Jews confessed the sins of the people on ‘The Day of Atonement'(YOM KIPPUR), after which the goat was allowed to escape into the wilderness. This practice of transferring the sins of a selected group of people such as the Israelites and placing the burden of sin on an entirely blameless creature was duly sanctioned by the LORD God. However, to make this practice a success, we must take care of the details; and in that context, I may quote a well-known statement, “THE DEVIL IS IN THE DETAILS.” Firstly, we have to understand the Biblical traditions and the division of humanity into two separate kinds called SHEEP and GOATS. SCAPEGOAT SERVICE – WHOLE TEAM – WHOLE REWARD: IN THE NEW TESTAMENT BOOK, THE GOSPEL ACCORDING TO APOSTLE JOHN, CHAPTER 1, VERSES 29 TO 42, JOHN THE BAPTIST DESCRIBED JESUS AS THE LAMB OF GOD. HE IS THE SAVIOR OF MAN FOR HE CAN REMOVE SINS OF MAN AND CARRY THAT BURDEN AND PAID THE PENALTY. LORD JESUS CHRIST IS NOT A SCAPEGOAT FOR HE IS A LAMB AND NOT A GOAT. SCAPEGOAT SERVICE – WHOLE TEAM – WHOLE REWARD: IN BIBLICAL TRADITION BOTH SHEEP AND GOATS ARE USED IN PRIESTLY RITUALS OF HEBREW PEOPLE. BUT, IT MUST BE NOTED THAT THE PEOPLE MADE IMAGES OF HE-GOATS FOR THEIR IDOL WORSHIP AND THE IMAGES OR IDOLS OF SHEEP ARE NOT USED. LORD GOD CONDEMNED THE WORSHIP OF GOAT IDOLS AND CALLED THEM GOAT DEMONS OR DEVILS, THE FALLEN ANGELS. I read some articles posted by biblical scholars that compare Jesus Christ to the goats described in the Old Testament Book of Leviticus, Chapter 16, verses 7 to 26. Their interpretation is totally incorrect. 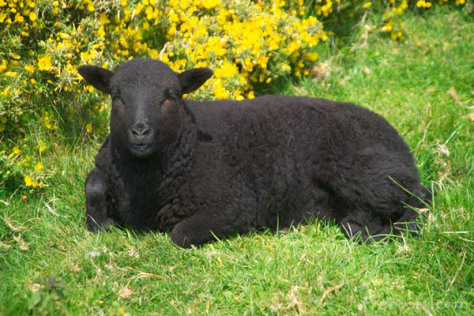 The word ‘SHEEP’ when applied to man, it describes a person who is meek, submissive, and obedient. The word ‘GOAT’ when applied to man, it describes a person who could be wicked, rebellious, and lecherous. 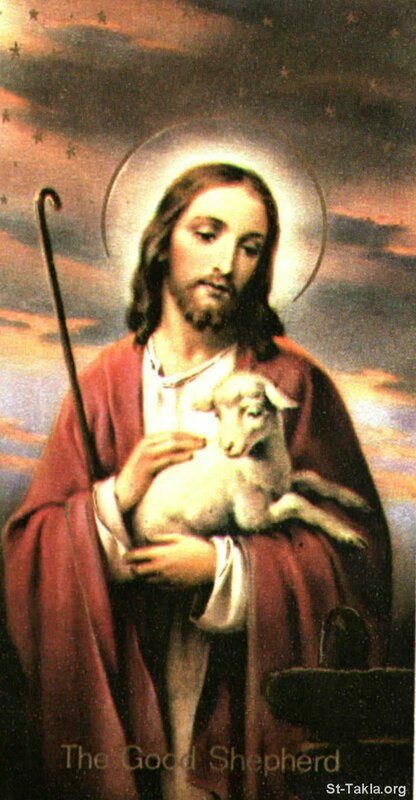 Sheep and Goats are animals that are often mentioned in the Holy Scriptures and Jesus Christ is best portrayed as “The Good Shepherd.” It will be equally important to note that the Hebrew people made images or idols of he-goats and even appointed priests to worship those idols. The Old Testament Book of 2 CHRONICLES, Chapter 11, Verse 15 mentions that King Rehoboam, son of King Solomon appointed priests for the goat and calf idols he made. Whereas there are no reported incidents that involve the worship of images or idols of sheep. Lord God condemned the practice of idol worship and he blamed the people of Israel and the animals that are used in the practice of idolatry. The worship of he-goat idols has thus constituted the worship of devil or devils. The “escaped goat” is a fallen angel and got transformed into a desert demon or devil and must be recognized as a female or a she-goat. SCAPEGOAT SERVICE – WHOLE TEAM – WHOLE LABOR: THE NEW TESTAMENT BOOK, THE GOSPEL ACCORDING TO APOSTLE MATTHEW, CHAPTER 25, VERSES 31 TO 46 DESCRIBES THE SEPARATION OF HUMAN BEINGS INTO SHEEP AND GOATS ON THE DAY OF JUDGMENT WHEN THE SON OF MAN RETURNS TO EARTH. In The New Testament Book, The Gospel According to Apostle Matthew, Chapter 25, Verses 31 to 46, the separation of human beings into Sheep and Goats is fully described. 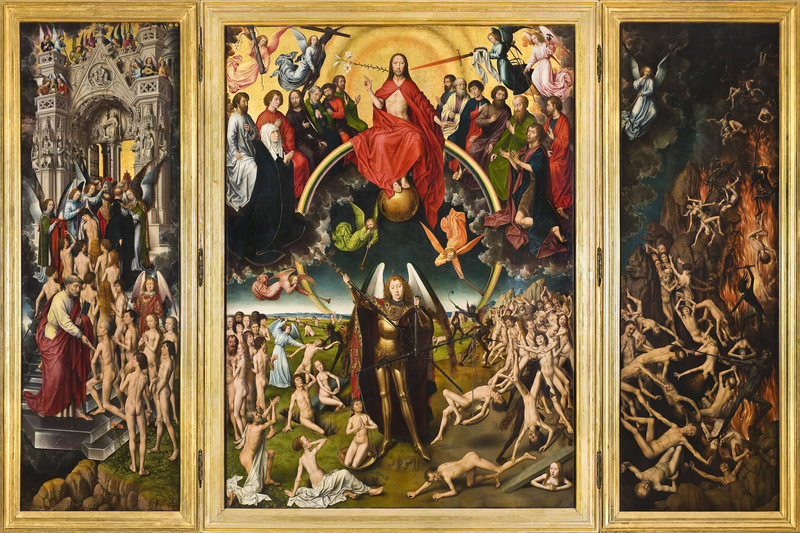 “When the Son of Man comes in His glory, and all the angels with Him, He will sit on His throne in heavenly glory. All the nations will be gathered before Him, and He will separate the people one from another as a shepherd separates the sheep from the goats. The sheep will inherit the Kingdom prepared for them since the creation of the world. The righteous sheep receive the blessings of eternal life. But, the goats are cursed into the eternal fire and they will go away to eternal punishment.” It makes abundantly clear the concept of Reward and Punishment and explains the meaning of sheep and goats as applied to mankind. The “ScapeGoat” used for Sin Removal and Sin Disposal Service will not be harmed or punished for carrying the burden of sins on its head. In my view, the “ScapeGoat” will be fully rewarded for doing its work in obedience to the LORD’S Commandment. However, it must be noted that the plural word “DEVILS” occurs four times in The Old Testament. Twice the term ‘devils’ represents “Sa irim” which means he-goats. In the Book of Leviticus, Chapter 17, Verse 7, LORD GOD Commands, “They must no longer offer any of their sacrifices to the ‘goat idols'( goat devils or demons) to whom they prostitute themselves.” Hebrew religious ceremonies and offerings at the Tabernacle included the sacrifice of both sheep and goats. The ‘ScapeGoat’ is spared its life for a specific reason and it has a specific purpose and a mission to accomplish when set free in the wilderness. I carefully examined the issue and found that the ‘ScapeGoat’ is an ’emissary goat’ that is sent to the wilderness to specifically meet the ‘escaped goat’. The Hebrew word “AZAZEL” primarily refers to “escape.” The ‘escaped goat’ had not escaped from the Israeli camp. The ‘escaped goat’ had ‘escaped’ from God’s Kingdom in Heaven. For that reason, the ‘escaped goat’ is a ‘fallen angel’, a devil, or a demon. The gender of this ‘fallen angel’ must be interpreted as female for the ‘escaped goat’ is a she-goat or “ez + azal.” A male or he-goat is purposefully chosen as the ‘Escape Goat’ for it has the natural ability to deliver the sin to the devil or demon which is thought to be a she-goat. I am pleased to announce that I am chosen or selected as the ‘ScapeGoat’ to provide the Sin Removal, and Sin Disposal Service as a ‘Whole Reward’ to the ‘Whole Team’ Members for their ‘Whole Labor’. 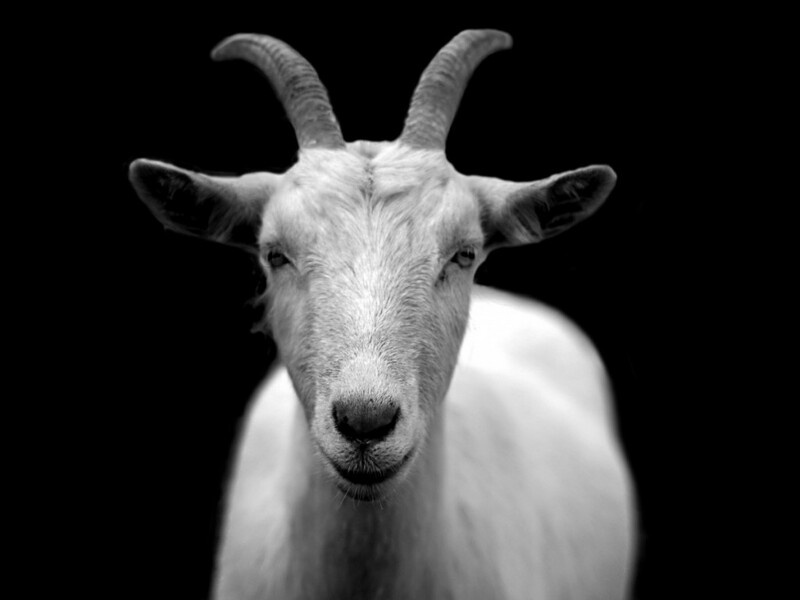 On a day of celebration known as “The Team Member Appreciation Day,” the ‘ScapeGoat’ will receive the blame and sin on its head giving the Whole Team Members to fully enjoy the glory of the ‘Appreciation day’ for all their faults and shortcomings are entirely removed and would be discarded in the wilderness. SCAPEGOAT SERVICE – WHOLE TEAM – WHOLE REWARD: BOTH HEBREW AND CHRISTIAN SCHOLARS FAIL TO INTERPRET THE WORD “AZAZEL.” IF THE WORD DESCRIBES THE “DEVIL”, THE SCHOLARS DO NOT KNOW THE GENDER OF THE DESERT DEMON OR DEVIL KNOWN AS AZAZEL. It is surprising to note that both Hebrew and Christian Scholars have failed to interpret the word “AZAZEL.” Is that a place? Is that a person? Is that an action called ‘Escape’? In my view, “AZAZEL” describes a “Fallen Angel”, an Angel that deliberately escaped from God’s Kingdom in Heaven. Having escaped, the Angel got transformed into a ‘Devil’ and the ‘Devil’ can be easily recognized for the ‘Devil’ has horns and a tail. The ScapeGoat Sin Removal and Sin Disposal Service are exclusively available to Whole Team Members as a Whole Reward for their Whole Labor. Please note that the Whole Prize of 365 Everyday Value Mismatched Sandwich Cremes are awarded as such and Milk is not included in this offer. Thanks for sharing the Scapegoat Video. The real story begins when the Scapegoat is released in the desert carrying all the sins on its head. I would like to receive my box of cookies for I visited your blog post. 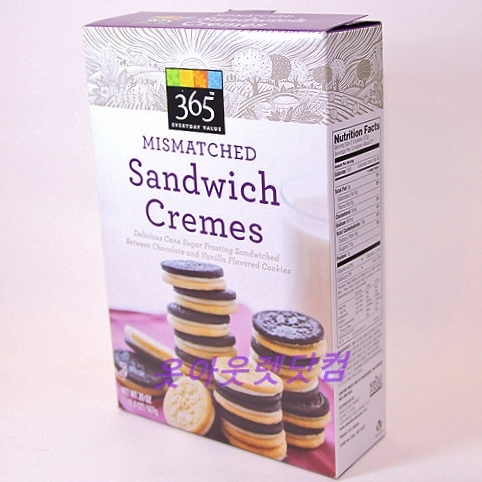 However, I am not yet ready to “LIKE” the blog post for I want to eat my Sandwich Creme Cookies before I find time to read such a lengthy post. Thanks for asking for ‘Whole Reward’. Please enjoy your Cookies. I am sorry for I cannot provide Milk while presenting Whole Reward. You may have to find ‘Whole Cow’ to get your supply of Whole Milk. I am glad to hear about your name change. Some people are very sensitive to Peanut Butter. They may get severe allergic reaction even if they think of P B. What’s your new name? I recommend trying “Whole” as your Last Name. Presson Whole will be a better choice than Presson Real.